Polaroid Cube+ | Nerd Much? Taking great video with any video camera is easy, sure, but posting your videos instantly to social networks can be a chore if you’re not using the right camera. 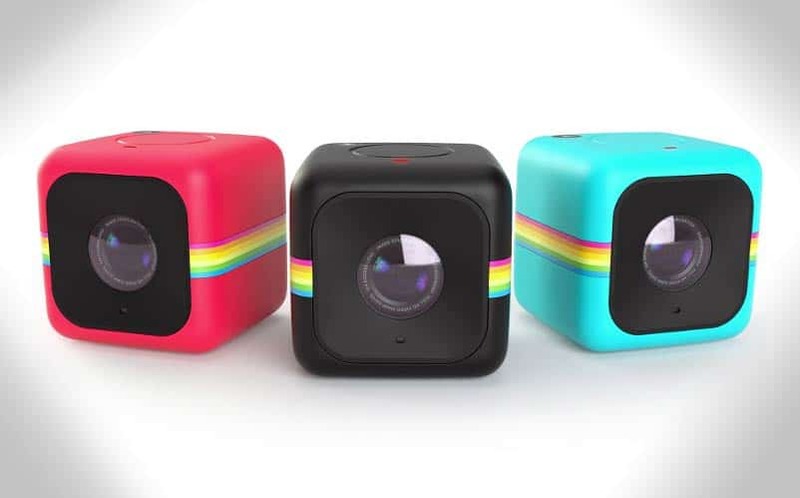 That’s just one of reasons that you should check out the new Polaroid Cube+, the ultra-small lifestyle action video camera that allows you to instantly share your video footage (and photos) to Facebook, Twitter, Instagram, and all of the other social media apps you’re using. Of course, there are other aspects that make this action camera a great option. It comes in at just 35 x 35 x 35mm, meaning it’s great for travel, since it won’t fill up your bags with unnecessary bulk. Most notably, you’re able to stream your footage in real time with iOS and Android compatible WiFi capabilities. The Cube+ can record in Quad HD 1440p at 30 frames per second, providing impressive video capturing abilities without a hefty price tag. Thanks to its image stabilization, you can be on the move while recording and the resulting footage isn’t shaky or blurry. There’s also an optional waterproof case so that this little guy can be taken underwater. The Cube+ is available in black, blue or red for nearly $100 less than the GoPro HERO4 Session, making it our number one choice for action cameras this year. For more cool nerd stuff to buy, stay tuned to Nerd Much for daily updates.